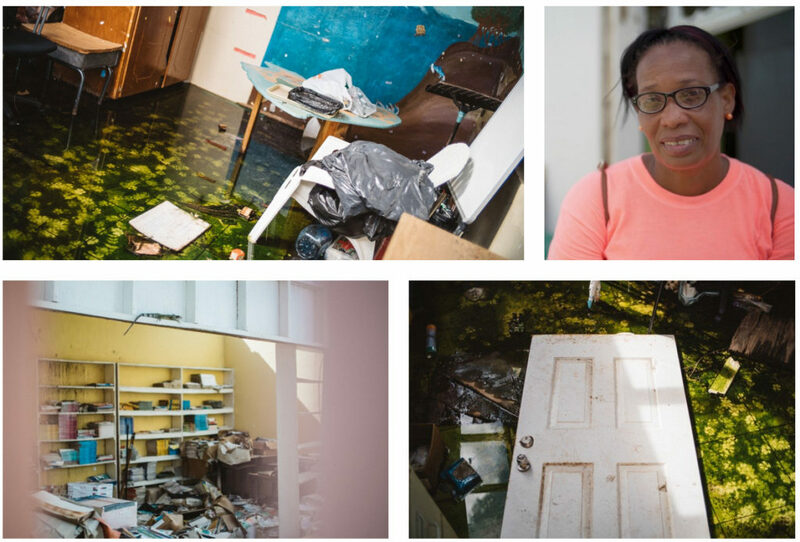 Primrose Thomas’ home was destroyed along with 90 percent of the houses and buildings in Barbuda. 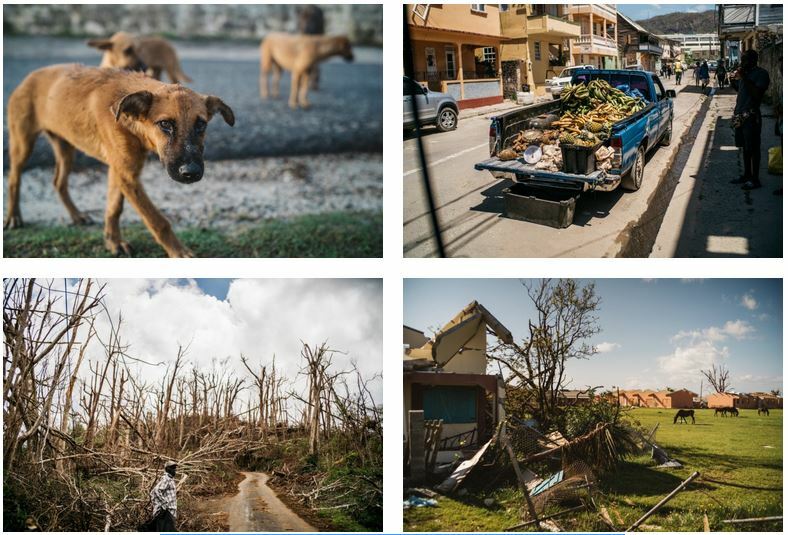 Powerful hurricanes washed away coastal villages and pristine beaches, carrying off the belongings and life memories of thousands of people here and across the Caribbean. Irma, the most powerful hurricane ever recorded in the Atlantic, left catastrophic damage as it passed over Turks and Caicos, Bahamas, Dominican Republic and Haiti. Just a few days later, colossal category 5 Maria unleashed its fury on Antigua, Saint Barts, Anguilla, Saint Martin and the British Virgin Islands. 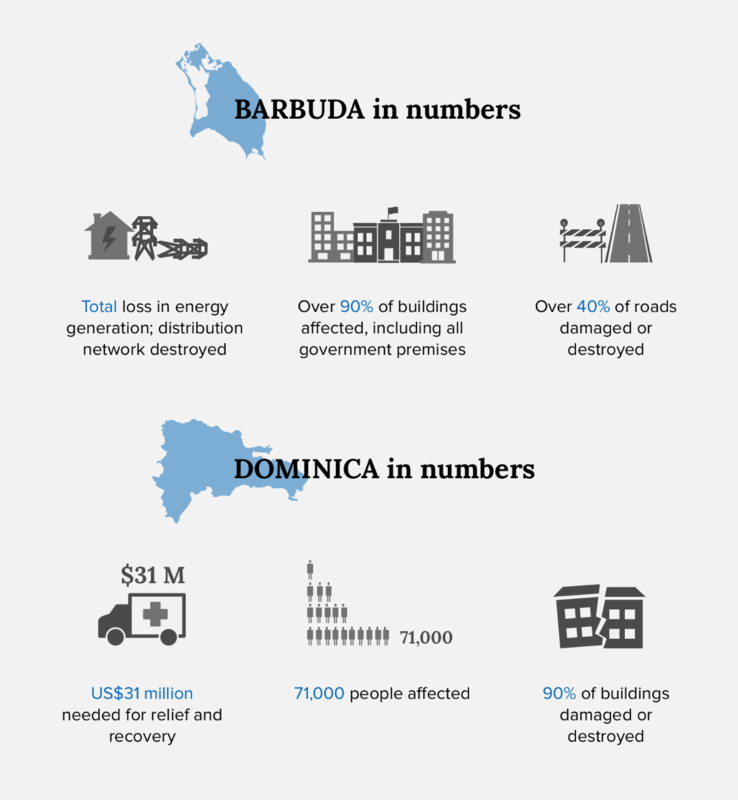 Barbuda and Dominica were decimated. In the stillness that followed the violent winds, the scale of the destruction came into focus. Critical infrastructure – electrical lines, houses and public buildings such as government offices, schools and hospitals – key to the economy and to people’s livelihoods, was obliterated. 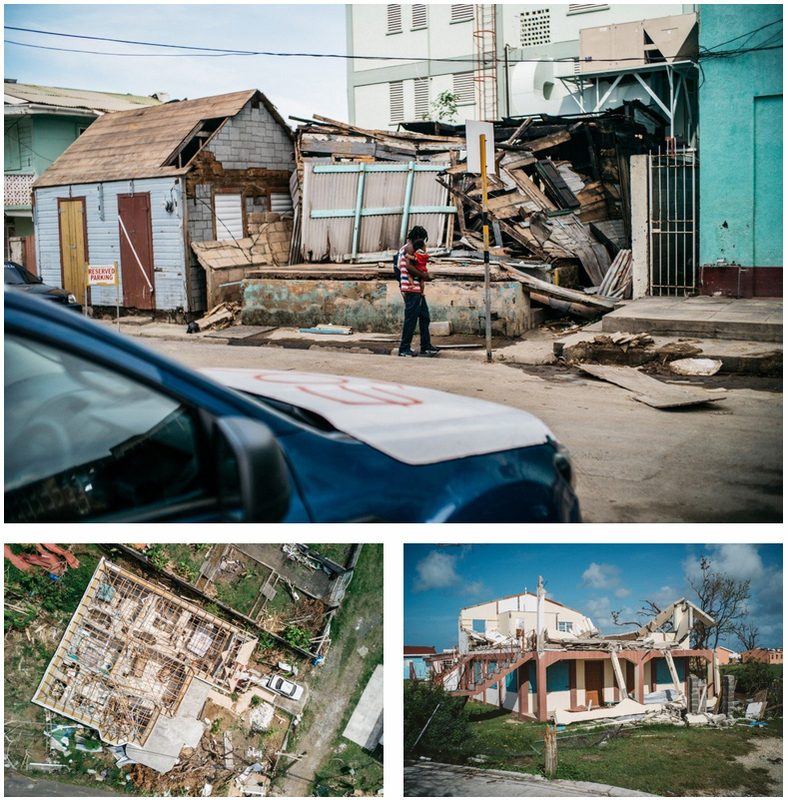 In communities that were already vulnerable and on the edge of poverty, families saw their homes and everything in them disappear in a few hours. 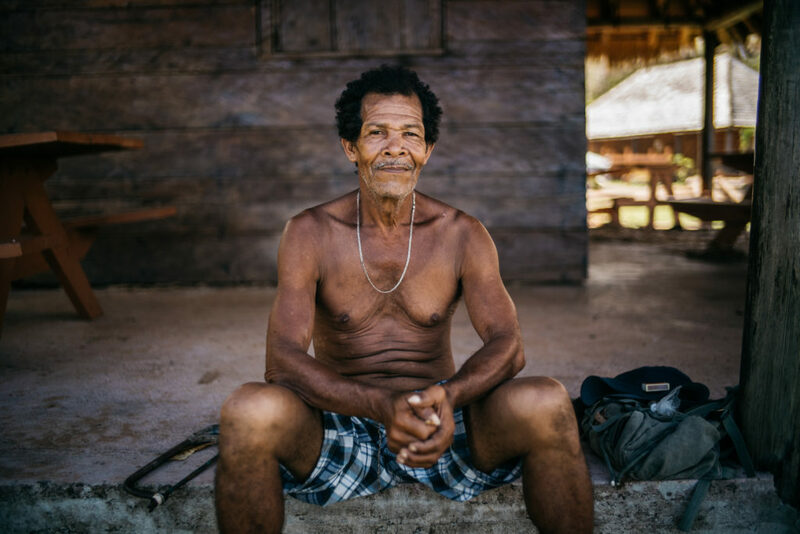 Forests and key crops, including coconut, banana and plantains, were reduced to rocks and mud, leaving many people without a living. 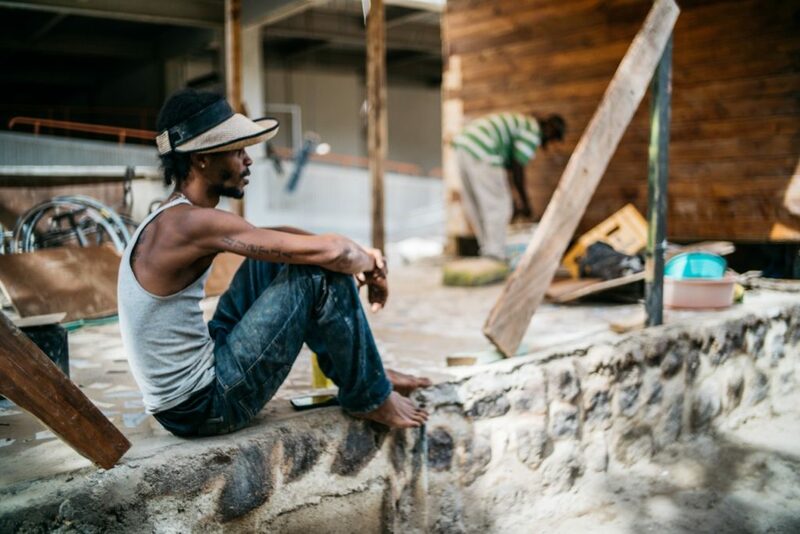 With their home island uninhabitable, Barbudans are taking refuge in neighbouring Antigua, waiting for the chance to resume their normal lives. Slowly, some of them have been coming back, confronting huge losses and an uncertain future. 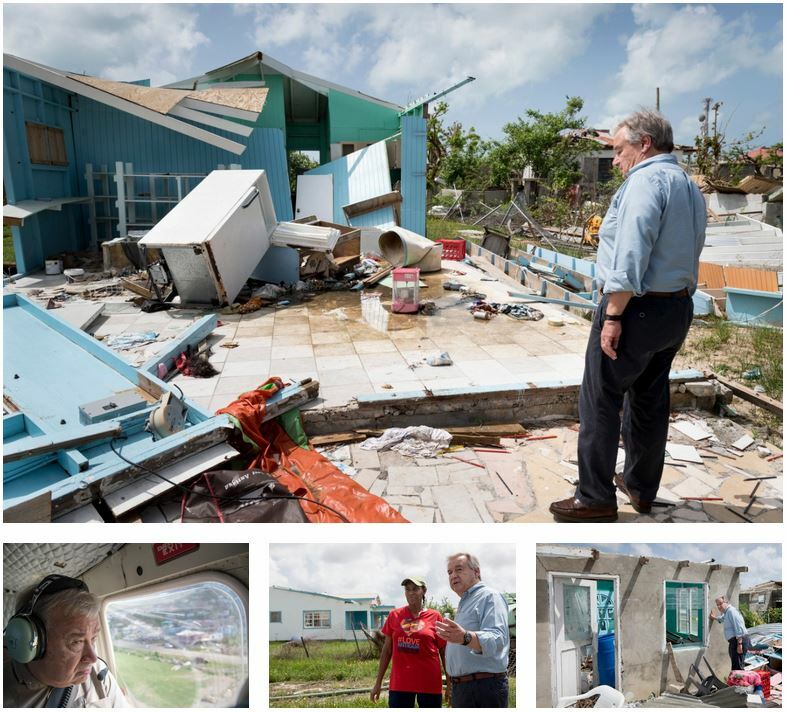 “I have just witnessed a level of devastation that I have never seen in my life,” United Nations Secretary-General António Guterres said during a visit to Barbuda. Guterres called for the full mobilization of the international community to support people in the affected areas. And he stressed the need to accelerate climate action. “There is a clear link between the level of greenhouse gas in the atmosphere, the temperature of the water and the intensity of the rainstorms,” he said. 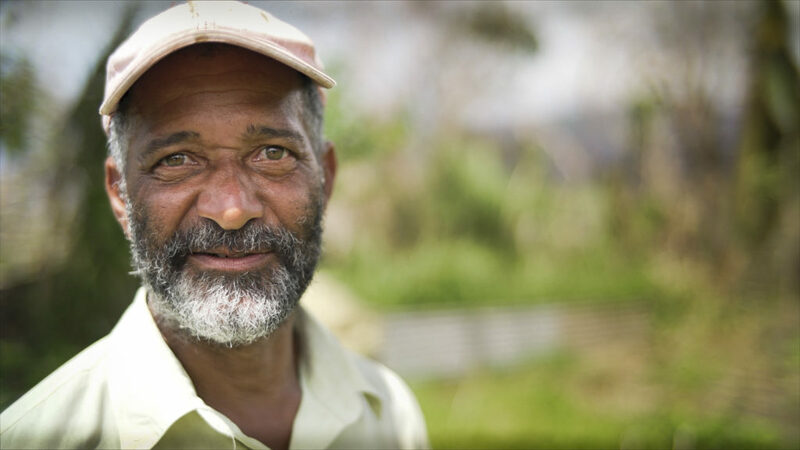 The Barbudans relocated to Antigua aren’t alone in this experience. All around the world, climate change is fueling more severe hurricanes, floods and droughts. It’s becoming one of the main causes of forced migration. “It is one more reason to do everything possible to stop this movement and to make climate action a strong priority of the whole international community,” Guterres said. In the last 30 years, the world has seen a three-fold increase in natural disasters and five times more economic losses due to these events. In 2016 alone, more than 24 million people in 118 countries and territories were displaced by natural disasters, three times more than those displaced by conflict. Despite the material losses and displacement, people in the affected communities are not giving up. Wanda Thomas De Souza re-opened her small neighbourhood eatery shortly after Hurricane Maria hit Barbuda. With nearly every other business shuttered, Wanda’s Grill offers a hearty breakfast to those working to rebuild the island. 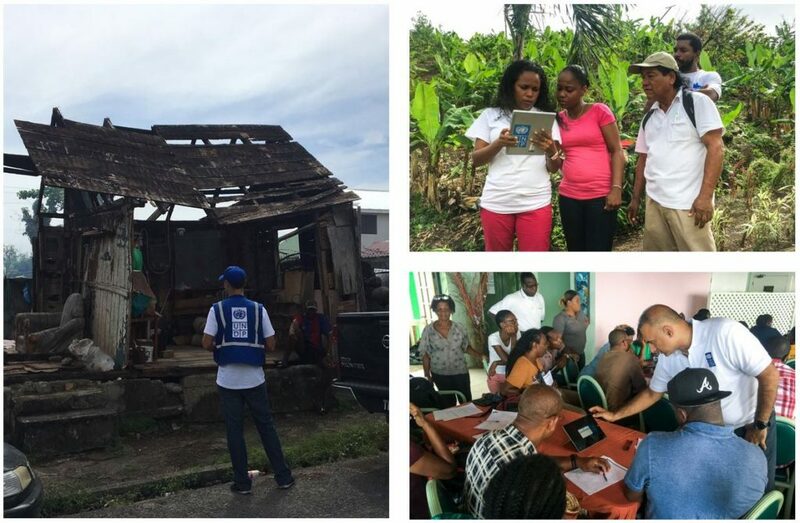 On the ground since the beginning, UNDP experts in Dominica, Antigua and Barbuda are coordinating the UN recovery efforts, responding to government requests and developing needs assessments. Specialists in waste management and debris removal are working hand-in-hand with national officials and other UN agencies, placing affected communities at the centre of all activities. For instance, UNDP’s emergency work programmes create temporary jobs for those who lost everything, involving them in the recovery process from the start. 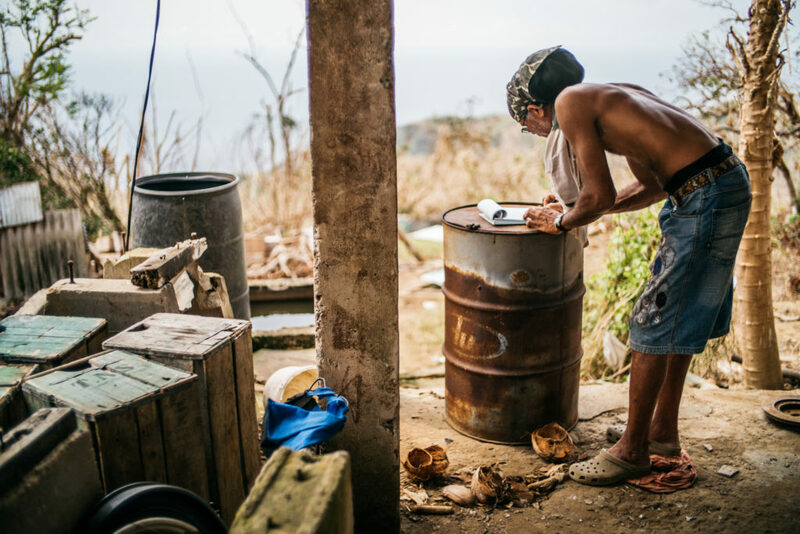 About 100 Dominicans from different government agencies – half of them women – are beginning to assess building damage after completing training provided by the government with support from UNDP and the civil society organization Engineers Without Borders. About 30 teams of inspectors will evaluate as many as 800 buildings per day, using the new skills and a tailored app and tablet provided by Microsoft. 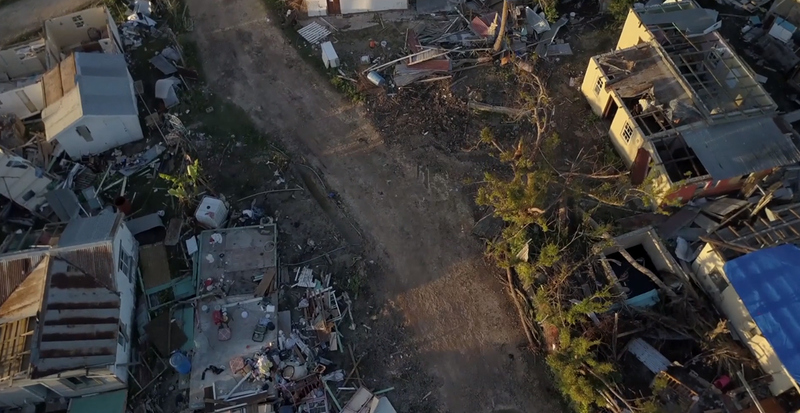 They will gather crucial information such as the level of damage, types of material required, volume of debris that will need to be managed, as well as the number of affected people by age and gender. 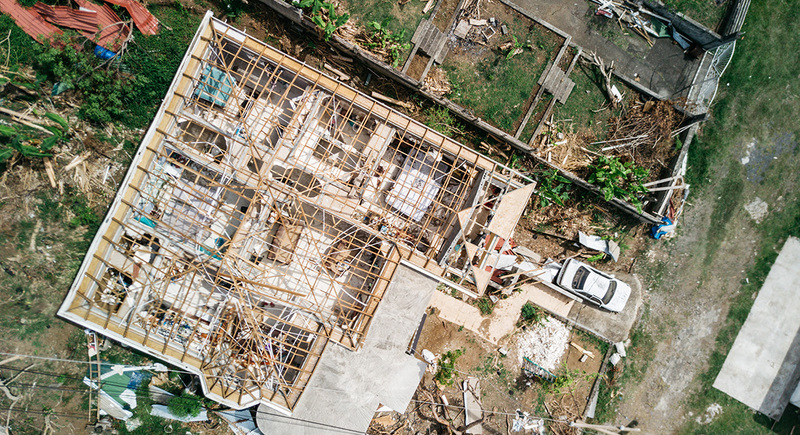 “We are all working around the clock to speed up the recovery process, especially knowing that another hurricane season is only eight months away,” said Luca Renda, senior UNDP advisor deployed to Dominica to lead the UN-wide recovery efforts. As countries start rebuilding key infrastructure, housing and communities, the Government of China is also supporting UNDP initiatives to build back better. The Ministry of Commerce contributed US$5 million to help communities in post-disaster recovery. The money will be used to repair the roofing of priority buildings, including government facilities, focusing on Barbuda and Dominica. In addition, the European Commission has provided EUR 700,000 to support Cuban families affected by Hurricane Irma. This generosity is making a critical difference. But this is not enough. Seven hurricanes hit the Caribbean in just five months. The UN response, together with the governments’ and communities’ determination, do not suffice. We need a stronger international action. 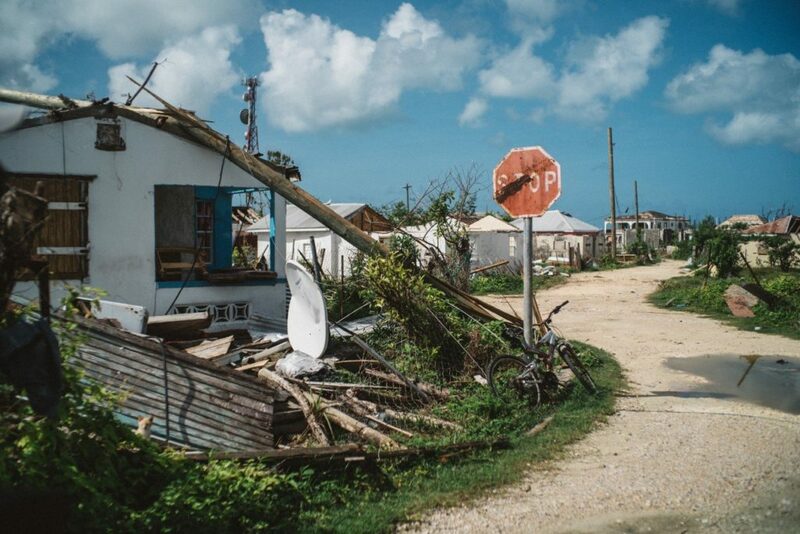 For that, a pledging conference will take place on 21 November in New York to raise funds for people affected by the hurricanes in the Caribbean. “The damage is human, in terms of lives lost. Is economic, is social, is environmental. But people are incredibly resilient. They already started their lives back, but it will take a lot of effort and a lot of solidarity to get the communities back on their feet,” said Renda. Climate change is a reality, and disasterous storms could become the new normal in the Caribbean and elsewhere. To face this scenario, we need a global commitment to address immediate needs, prepare for future events and reduce the risks to people and property. We must do more than repair broken structures. We must forge stronger communities. We must build back better. DONATE and help affected people rebuild their lives.